Meghan Gallahan Graham, MS, CCC-SLP graduated with a degree in teachers of students with speech and hearing disabilities and earned her master’s degree in speech and language pathology. While treating children at Children’s Therapy Associates, Meghan served as Director of Technology, and has treated children in various settings including public and private schools, and clinics where she enjoys collaborating with professionals and parents. She supervises graduate students at the Boston University Clinic and teaches undergraduates as a part-time faculty member. Meghan is passionate about the use of technology for therapeutic purposes, which led her to the wonderful world of app development with her colleagues, Karen Head and Jill Perry. Meghan is a co-founder of all4mychild, where she was instrumental in developing a suite of iOS apps to be used by parents and professionals for the purpose of sharing ideas and tools that reinforce social interaction skills. Jill Perry, MHA, MS, OTR/L graduated with a bachelor’s degree in elementary and special education. Following several years teaching and working with individuals and groups, she earned a Master’s degree in Occupational Therapy from Boston University. She has worked in hospitals, public and private schools, and private practice as a pediatric OT and supervisor. Jill joined Children’s Therapy Associates in 1996 where she developed and managed the OT department. She was selected as a LEND fellow (Leadership Education in Neurodevelopmental Disorders) in 2002 and went on to earn her Master’s in Health Administration through Suffolk University. Jill has developed a special interest in and experience working with children who have non-verbal learning disabilities, autistic spectrum disorders, sensory processing disorders, and social pragmatic concerns. In 2011 Jill joined her speech-language colleagues, Karen Head and Meghan Graham, to create a new partnership called all4mychild. Along with her partners Jill participated in developing a suite of therapeutic apps, contributes to blogs and book reviews and continues to provide individual and group therapy, consultation and parent and professional education. Karen Samstad Head, MS, CCC-SLP graduated with a Bachelor of Science degree in Chemistry and earned her master’s in speech language pathology. 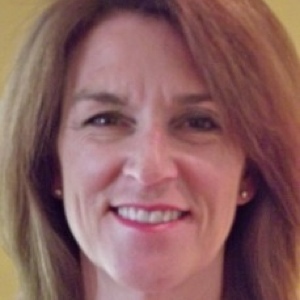 Karen was a founding member of Children’s Therapy Associates in Natick, MA in 1996. While Karen enjoys working with children with a variety of learning challenges, her passion has always been with those experiencing social challenges. 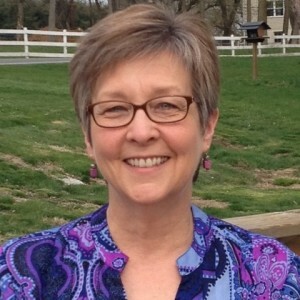 Karen, along with her colleagues, created the Social Adventures groups at CTA to help children learn and improve social interaction skills using an interdisciplinary approach. She functioned as coordinator of the Social Adventures Program from the time of its inception in the late 1990s. In 2011, she joined Meghan and Jill to create all4mychild. Through all4mychild, Karen has been thrilled to share the IMAGINE© Social Success framework to help adults of all disciplines gain understanding of how to assess and build social interaction skills in young children. 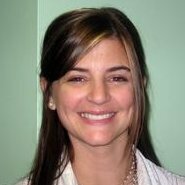 She currently enjoys running groups and providing individual speech therapy through all4mychild in Needham, MA.